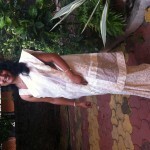 For women in India, our sarees are not just a garment to drape. They are an inseparable part of our lives, as each saree holds a story, a memory or warmth of our relationships within it’s weaves. We cherish them as a token of all these things that they signify for us. Number 33 on the #100SareePact today happens to be an almost 32 year old saree. 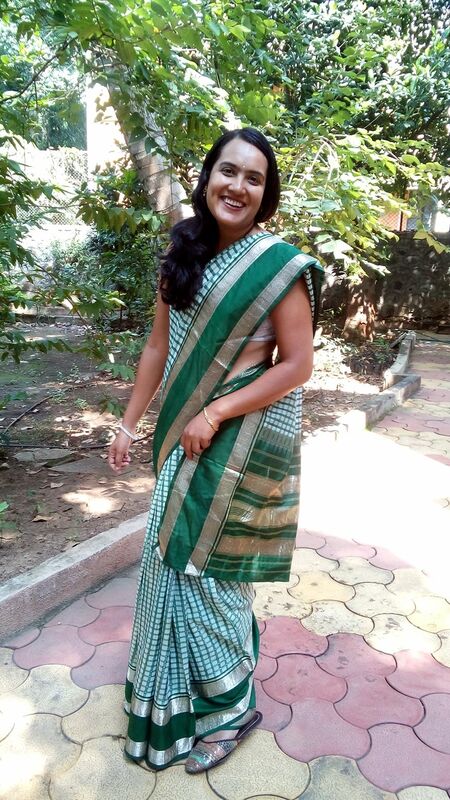 A green and white chequered Kanjivaram with broad deep green and silver borders, is one of my mother’s wedding sarees.. Borrowed it from her today, on the fourth day of Navratri as the color for the day was green..But for me, it signifies all the strength that I draw from Mom in everything that I do..